No, the Xbox One S doesn’t support 4K pass-through | What Hi-Fi? The Xbox One S is Microsoft's updated Xbox console, complete with support for 4K video. But the 4K support isn't quite complete. It’s been a long time since games consoles were only about playing games. Whether it’s streaming music on your home network, watching catch-up TV or Netflix, or even spinning Blu-ray discs, both the PS4 and Xbox One are seriously powerful multimedia machines. 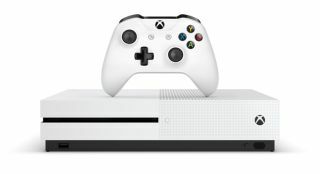 The most recent iteration of Microsoft’s console, the Xbox One S, promised to make the leap from HD to 4K, sporting an Ultra HD Blu-ray player and bringing support for 4K TV and films via Amazon Video and Netflix. However, we can confirm that one thing is missing from the Ultra HD picture - the Xbox One S doesn’t support 4K pass-through. Essentially, this means that the HDMI input on the One S doesn’t support 4K video. So, you can’t plug a 4K TV box, such as Sky Q, into your Xbox One S and receive 4K video. That’s a shame, not least considering the Xbox set-up procedure suggests you do exactly that and run your TV box through your Xbox. Reports suggest that this will affect all 4K sources, including the BT 4K box and any other 4K set-top boxes in the UK, and the likes of DIRECTV and TiVO BOLT in the US. The forthcoming Virgin 4K box is also unlikely to be supported. Look out for our full review of the Xbox One S coming soon. MORE: PS4 vs Xbox One - which is better?